After enjoying an impressive market growth, popular Belarusian brand Markell Cosmetics, was ready for a global brand image makeover. They decided to call on Identica’s expertise to re-define their positioning with a newly designed image that would take the brand’s growth into new categories. Markell has a special approach to beauty that is both intellectual & scientific. Innovative formulas and natural ingredients with proven efficiency are at the heart of each product. Over 240 skus are divided across a wide range of products that are integrated into high-efficiency programs, designed to guarantee a lasting effect with regular application. Identica’s Brand Architecture strategic platform helped define the brand’s market positioning and product segmentation. The visual identity was streamlined with a logotype and icon that accentuated Markell’s origins in the wild forests and natural ingredients. To capture the brand’s different approach to skincare, Identica created 3 main ranges: Everyday, Natural, and Professional. 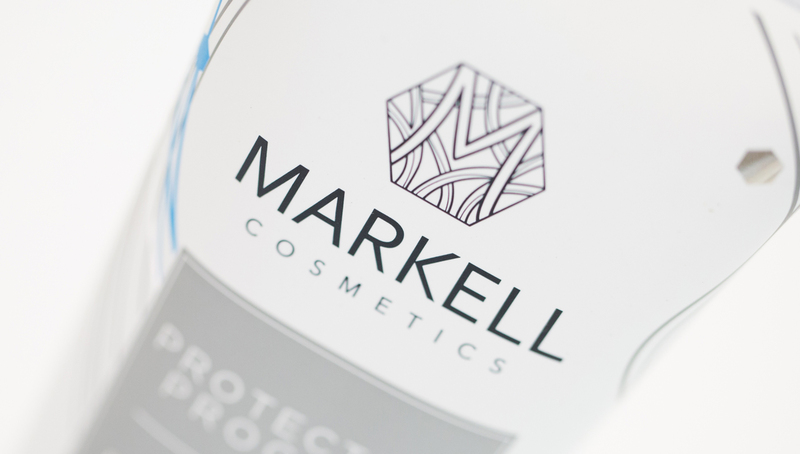 Markell’s new global image reflects the product’s core value as ‘natural & healthy cosmetics’ designed to enable enhanced inner beauty to shine through into external beauty.